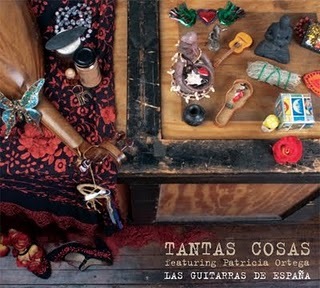 “Tantas Cosas”-the new album from the gifted members of Las Guitarras de España-means “So many things…”. The title is more than appropriate since the richness of the music, the wide array of confident talent and the cornucopia of masterfully blended genres that went into this CD is truly remarkable. It takes vision and a little bit of faith to make all these things work together…like intricate pieces inside a beautiful musical clock. I had the honor of listening to a private, live performance of “Capricho Arabe”—performed by guitarist Carlo Basile. I have known Carlo since Guitarras de España first started and I have witnessed his evolution and devotion as an artist. This piece, like much of the CD, will grab you and never let go. You will be taken on a rich, emotional journey that explores and expands on some of the most intricate Flamenco patterns, ingeniously blended with your familiar Rock, Jazz and even Blues genres. The true gift of “Tantas Cosas” lies in hiding the tremendous amount of work that went into this production and making it seem so…effortless. This is a proud achievement, born of an ambitious vision and delivered with intense passion.